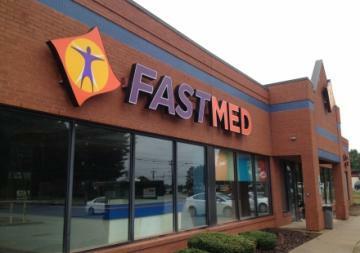 If you live in North Carolina and are wondering where to go for blood work in Hickory, NC, FastMed can point you in the right direction. Have other questions about blood work? FastMed can answer those questions, too! What Exactly Is Blood Work? How Should I Prepare? Where Should I Go for Blood Work in Hickory, NC? Blood work, or blood tests, are common procedures used by doctors to evaluate various aspects of your health. Sometimes a sample of blood is drawn from your arm, and other times blood is taken from your body through a finger prick. There are several types of blood tests, and your doctor will determine the best type for your specific health needs. What are some of the different types of blood tests? Blood clotting tests check proteins in your blood. A complete blood count is the most common type of blood test and is often done as part of a physical examination to check for anemia and immune system disorders. Blood chemistry tests measure different chemicals in the blood and tell doctors about your muscle function, bones, and organs. Blood enzyme tests can help diagnose certain medical problems like heart attacks through controlling chemical reactions in your body. How should I prepare for blood work? Different blood tests require different modes of preparation. For some blood tests, fasting is recommended in order to get an accurate sample. In other blood tests, there is no need to fast. Talk to your doctor about your specific situation. Where Should I Go for Blood Work in Hickory, NC? At FastMed, we understand that your life is busy, which is why we are open weekends, holidays, and nights. Our Hickory, NC, location, conveniently located on Conover Boulevard West, is clean, modern, and staffed with quality health care providers. Need Bloodwork? Stop by our Hickory location today!